Cucumber Dosa is one of the dosa varieties of South India, especially Malnad region of Karnataka. When it comes to breakfast it is always a question, what to prepare? Everyday we will look for something different. Here is one of the healthy and delicious breakfast from malenaadu region of Karnataka. 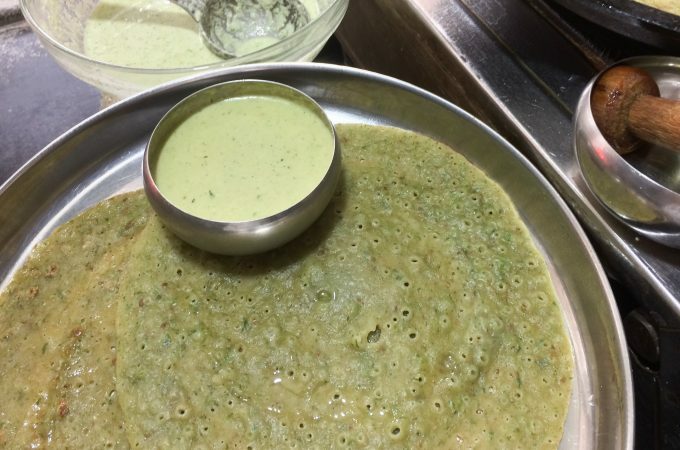 This is Vegan, gluten free, and easy, delicious dosa recipe, no need to ferment the batter. 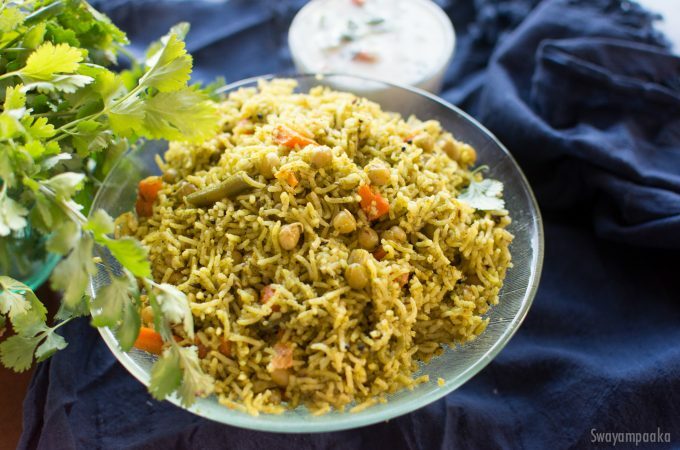 Coriander Rice or coriander pulao is very simple and delicious rice dish can be prepared in 25 to 30 minutes. This coriander rice is the perfect lunch box . This is an easy one pot meal. Cilantro / kottambari soppina anna /coriander rice is naturally gluten free and Vegan recipe and no onion no garlic dish. Easy healthy coriander palav goes well with raytha/raita or chips. Here we have simple No onion No Garlic raita to go with. Coriander rice is No Onion No Garlic, Gluten free, and Vegan. Raita is No onion and no Garlic. Breakfast is the very important meal of the day. Something easy, something tasty and healthy is always we look for while deciding the morning breakfast. One of them is this Shavige uppittu or semiya upma. You can add any vegetables make it more colorful and healthy or just make it plain and simple. I used MTR brand Vermicelli here. There are many different brands available in the store. Any brand is good for this Upma recipe. Dry roast the whole packet and store it in a airtight container and use it when needed. 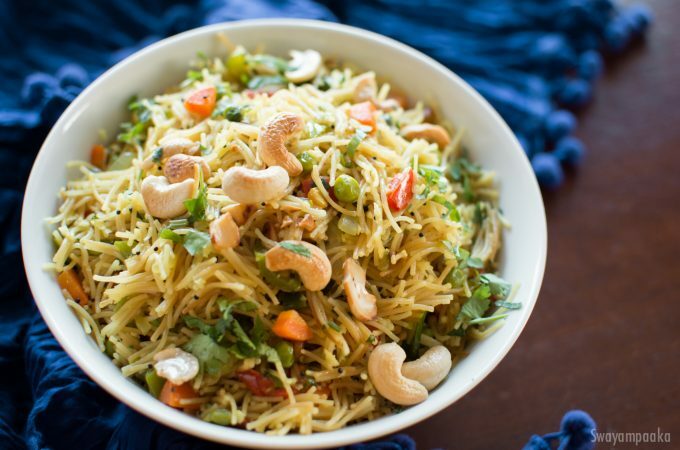 This Vermicelli vegetable bath can be served as breakfast or evening snack along with hot cup of coffee. 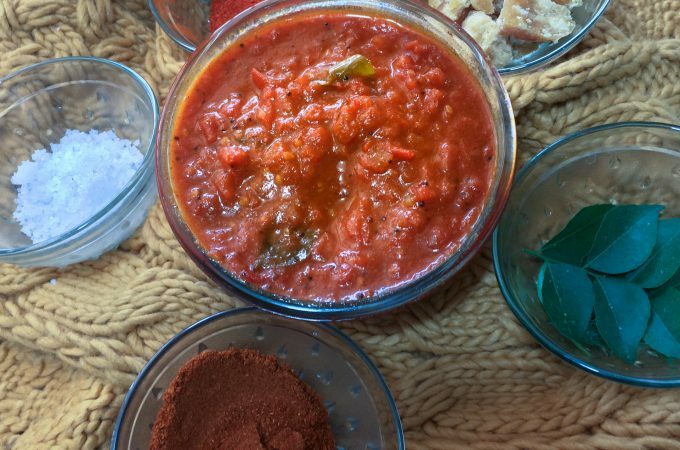 Tomato gojju is the easiest and delicious side goes well with chapathi, idli,dosa, rice and almost with every breakfast dish. Tangy and sweet taste of this tomato curry makes it a versatile side dish. Very easy to make and can be prepared with the available ingredients in the pantry. This is no onion no garlic side dish. For rasam powder recipe click here.